Leading experts Nick Sheron, Head of Clinical Hepatology at the University of Southampton, and Ian Gilmore say that if the legislation is passed, it could result in an “interesting and unusual situation” whereby cheap alcohol is constrained by minimum pricing in Scotland, and this may be swiftly followed by the Ireland, Northern Ireland, and Wales. They say the number of alcohol related deaths will decrease in these countries as a result. However, they note that the situation in England won't change for the better as “incomes are likely to outstrip changes in alcohol taxation,” and the “relentless rise” of alcohol related deaths will likely resume. These predictions are based on their analysis of trends in alcohol related harm in the context of changes in the alcohol marketplace, in turn driven by changes in fiscal policy. They show that alcohol related deaths are related to the level of taxation. 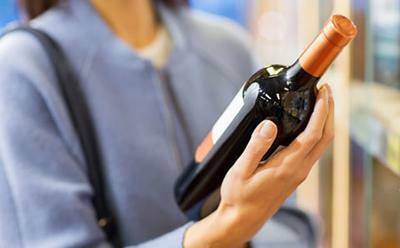 There was a threefold increase in the number of alcohol related deaths between 1980 and 2008 in England and Wales, “probably driven by the increased affordability and availability of strong alcohol,” they say. As wages increased and alcohol taxation was reduced, by 2008 it was possible to buy almost four bottles of vodka for the price of one bottle in 1980. They note that four bottles represents the weekly alcohol consumption of an average patient with alcohol related liver cirrhosis. In the UK, alcohol sales increased from around 400 million litres in the early 1980s, peaking at 567 million litres in 2008. During this time, alcohol related deaths in England and Wales tripled from 2,314 in 1980, to 7,312 in 2008—with most deaths being liver related. From 2007-08 onwards, the affordability of wine fell by 54 per cent, spirits 50 per cent, cider 27 per cent, and beer 22 per cent, whereas household incomes fell by only 9.5 per cent. The authors say that of the various economic factors influencing alcohol consumption, the 2 per cent duty escalator had the greatest effect. If the year on year increase in alcohol related deaths had continued since 2008, predictions suggest there would have been 11,400 deaths a year by 2030, with a cumulative total of 150,000 deaths from 2016 onwards. And if current patterns continue there may be around 50,000 fewer deaths than expected. However, following a “fierce campaign of lobbying” by the Wine and Spirits Trade Association, the duty escalator was dropped in 2014. Furthermore, incomes are starting to rise again, and alcohol duty was cut by a further 2 per cent for spirits and cheap cider. Therefore, the authors predict the “relentless rise” of alcohol deaths in England once again.